David Miliband, writing today in The New European, made the case for Labour to support my bill to give voters the “final say” on the Brexit deal, but it is not only old-timers like him, Tony Blair and Nigel Farage who support a second referendum. An unstoppable emerging consensus, which unites the public and the Labour membership, is calling for the people to be given the final say. In the tumultuous week that followed the 2016 referendum, I tabled my Terms of Withdrawal from the EU Referendum bill, which calls for voters to have the final say on the Brexit package. At first it gathered little support, as the Establishment bowed to the will of the people, without stopping to think about whether they could fulfil the promises that had been made to voters. 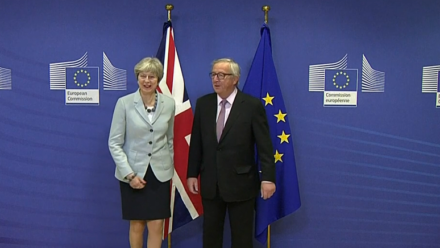 But while Brexit-mania has taken hold of the two main political parties, the public mood has gradually shifted away from Brexit fundamentalism in the face of reality. The “cost of leaving crisis” in the divorce bill, high inflation and the government’s lack of clarity on the final destination of Brexit means public confidence is waning. Because of Theresa May’s incompetence in navigating Brexit, polls have shown a steady growth in those calling for a referendum on the exit package in order to give people the final say. Earlier this month, arch-Remainer Blair waded in, calling for a second referendum. A couple of weeks later, Farage, the man who personifies Brexit, also came out in support of a second vote, saying that the issue needs to be resolved, once and for all. And now Miliband is saying the same thing: a strange mix of previously influential, but now largely irrelevant politicians. Blair and Farage are controversial figures, representing very different sides of the Brexit debate. The former UKIP leader is, of course, surrounded by Leavers: undoubtedly, his sentiment is shared by many other hard Brexiteers who are dissatisfied with how May is going about negotiations. Blair is surrounded by Remainers, including businesses worried about the economic outlook. Both are groups which the government has ignored. But it is not only these three who have been saying this. There is an emerging consensus calling for a “final say” referendum which unites the public, the Labour membership and the left. It’s only natural that people are having second thoughts when we hear Mark Carney, the governor of the Bank of England, say that leaving the EU is costing Britain more than £200m a week in lost growth, and Robert Chote, the head of the Office for Budget Responsibility, told the New Statesman the British economy is “weak” because of Brexit. Just before Christmas a poll from Survation, the only pollsters to correctly predict the 2017 election, said that a majority of voters want a referendum on the exit package. When I talk to people on the streets of Swansea I hear them say: “this is not what we voted for”. People backed Brexit with reasonable expectations: more money, single market access and taking back control – but these things aren’t happening. That’s why voters want the last word on the exit package. The same is true in the Labour Party. A grassroots poll which was published in the start of January found that eight out of 10 Labour party members support a referendum on the terms of the country’s exit from the EU. Leading figures on the Labour left back a final say referendum. Manuel Cortes, general secretary of the TSSA Union, recently wrote that “the Brexit tide has turned”, adding: “the risks to our jobs from leaving the single market are far too high for us to ignore the credible policy of staying put”. With support from the public, the Labour Party, and the left, alongside the voices of Blair and Farage, calls for a final say are now carrying irresistible momentum. It’s time that the political establishment woke up to the growing demands from all quarters for the final say on the Brexit deal. They must accept that people have the right to change their minds in light of the compelling evidence that Brexit simply isn’t worth it. We’ve had three general elections in the past seven years which have changed very little. It’s time to give the people the final say on something which will change all our futures very much. Geraint Davies is MP for Swansea West.